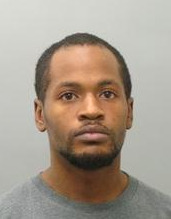 (Newser) – The hunt is over for a 25-year-old Missouri man accused of shooting and killing a Kentucky State Police trooper. Joseph Thomas Johnson-Shanks was captured around 7am, Kentucky State Police Sgt. Michael Webb tells the Washington Post, but he wouldn't obey troopers' instructions to drop his weapon, so authorities "engaged" with him, shooting and killing him. The suspect was taken to a nearby medical center, where he was declared dead, Webb adds. Before Johnson-Shanks' capture, a warning posted on the Lyon County Facebook page had urged residents to keep their doors and windows locked after 31-year-old Trooper Joseph Cameron Ponder was fatally shot during what should've been a routine traffic stop on Interstate 24 around 10:20pm local time last night, per NBC News. At least the matter was resolved. Doesn't help the family members, but at least they have closure of a sorts. another #blacklivesmatters alumnus he #dindunuffin was a good boy. good riddance to trash..
well i guess if thats what the police say with no backing video done in a remote wooded area then it must be true . probably the body cams all " malfunctioned "